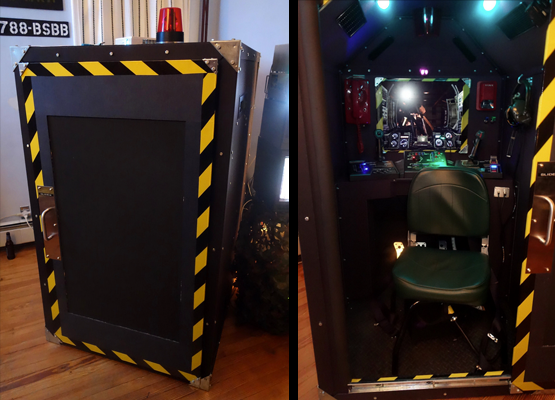 The “Big Steel Battalion Box” is an immersion cockpit for the mech simulation game Steel Battalion (Xbox, 2002), equipped with custom environmental stimuli. It is also the platform for a cooperative metagame of communication for two players. While a rookie pilot comes to grips with the vast array of controls before them, their only lifeline is a coach who—frantically flipping through a simplified manual—tries to talk them through their first tentative steps into a dangerous world. 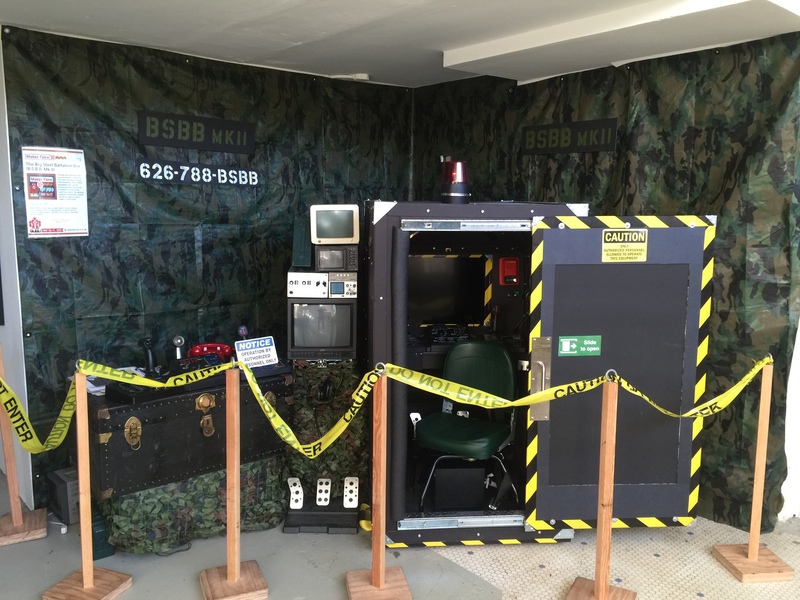 The first public exhibition of the B.S.B.B. was Nov 15th, 2014 in Brooklyn, NY. It currently resides at The Museum of Art and Digital Entertainment in Oakland, CA. Coaching sessions with the creator are available by appointment, email dave@bsbb-mkii.com. The Big Steel Battalion Box is finally installed and open to the public at its new home in the The Museum of Art and Digital Entertainment, in Oakland, CA! We’re still working out operational hours and the protocol around how it will be playable, so please do call ahead if you’re making a visit just for the B.S.B.B. Not that there isn’t tons of other great stuff to see there! The B.S.B.B. 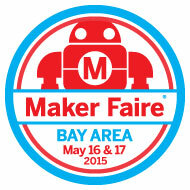 Mk II made it to the Bay Area Maker Faire 2015 in one piece and a blast was had by all! We won a Blue Ribbon and got a great writeup in the Maker Faire Blog! Photos have been added to our Process Gallery. We made Kotaku! Swoon. Now sh*t’s getting real. This Kill Screen Magazine covers the launch event play-by-play and really nails the spirit of the project. Got a lovely writeup from Polygon!